There’s more to school than readin’, writin’, and ‘rithmetic. “What is the most important thing one learns in school? Self-esteem, support, and friendship.” (Terry Tempest Williams) These titles will ease the way toward learning about those non-tangible, but so important, aspects of life. Web links to additional information and activities about school follow these reviews. If camouflage is meant to keep chameleons undetected, Chamelia isn’t interested. While her small classmates prefer to be shades of pale yellow-green, Chamelia sports a vivid viridian to offset her chic outfits in brightly patterned fabrics—she loves high heels and boots, too. Clearly, Chamelia’s the star of the classroom, in school and out. When a new kid named Cooper appears and attracts some attention, what’s a star to do but fight for her audience? Youngsters may recognize friends (or themselves) as Chamelia pouts, ignores, boos, or blows raspberries whenever Cooper performs; she even turns down an especially luscious cupcake he brings as his birthday treat. The climax comes when the two do their stuff at Show and Tell, Chamelia with her shells and Cooper with his rock collection. At first, the kids admire Chamelia’s tactics to humiliate Cooper, but suddenly, the little star realizes that Cooper has talent too, and she decides to share the limelight. Readers who’ve already met this diva—in Long’s Chamelia (Little, Brown, 2011)—will detect a difference from Chamelia’s previous decision to make herself lovable by blending in with others. How much more satisfying to remain a star, sharing the act with “an excellent sidekick!” The crayon-bright digital illustrations with bits of photo collage forming rocks and shells, cupcakes and printed fabrics make the expressive chameleons fun for read-alouds. This story provides excellent fodder for discussion of just how far to go in being outrageously different. (Parents and teachers, too, can admire Chamelia’s fashion sense and her outstanding accessories.) 2013, Little Brown and Company, Ages 3 to 6, $16.99. Park sees the new girl at the front of the bus and fills the empty seat next to him with his books. She eventually ends up sitting next to him anyway, after the vicious pack at the back of the bus targets her for their pointed remarks. As the days go by, he notices her reading the comics on his lap–they tentatively ease into conversation which, in time, leads to discovering feelings for each other. Eleanor’s home life is wretched. She shares a room with her four siblings and the bathroom is in the kitchen with no wall or door. Richie, her mother’s abusive, alcoholic husband, had kicked Eleanor out of the house the previous year. She has been allowed to return to the family but has to stay under the radar. This is a sweet, touching story of first love. Told from both perspectives, the story’s emphasis rests with Eleanor–how she keeps within herself at home but allows Park in as she learns to trust him. Being with Park is Eleanor’s only sanctuary yet he is more lyrical when describing their relationship. When he holds her hand, he says it is “like holding a butterfly. Or a heartbeat. Like something complete, and completely alive.” When Richie’s twisted malevolence toward Eleanor reaches a boiling point, Eleanor knows she has to leave. Can Park let her go? The bittersweet ending hints at hope for two characters who readers will have come to care about. This is a stunning debut from a promising new author. VOYA CODES: 5Q 4P S (Hard to imagine it being any better written; Broad general YA appeal; Senior High, defined as grades 10 to 12). 2013, St. Martin’s, 320p., $17.99. Ages 15 to 18. Nugget and Fang: Friends Forever–or Snack Time? Nugget and Fang have been best friend for a long time. They do everything together. One day, that changes when Nugget goes to school. There, Nugget learns that sharks are bad and cannot be friends with minnows. Can Nugget and Fang still be friends? Tammi Sauer writes a story that will make children laugh from start to end. The humorous telling engages the reader to find out what happens next. However, this book goes beyond humor and teaches deeper lessons about friendship and peer pressure. Children will be able to empathize with both Nugget and Fang in their struggles to find out what will happen to their friendship. But just as it is easy for the reader to see what the best choice is for Nugget and Fang, Tammi Sauer help the children to apply the moral of the story to their own situations. Parents and teachers will happily read this book to because the children they care for; it is fun to read and has an important lesson. 2013, Harcourt Children’s Books, Ages 4 to 8, $16.99. REVIEWER: Beth-Anne White (Children’s Literature). Oliver, first seen cradling a toy alligator and staring at an uneaten breakfast, dreads the first day of school. He “felt his brave wasn’t nearly as big as he needed it to be,” so he invites an alligator to join him. When a “lady who wasn’t his mom” greets him and asks his name, he musters only two words: “Munch, munch!” Each time Oliver feels anxious, this response makes his alligator swallow the perceived threat. Soon his friendly fellow students and some intimidating educational materials are inside the ballooning reptile. Schmid (Perfectly Percy) sketches Oliver in a few angular dashes of pastel pencil. The soft, crayony lines belie Oliver’s anxiety, and his alligator, for all its alleged ferocity, never shows any teeth (and lacks even a visible mouth). Readers are left to imagine the offstage “munch, munch” and later learn—as Oliver questions his limiting desire for solitude—that the students are having fun inside the beast, while Oliver (temporarily) stays outside. Schmid focuses on how a child uses imagination to devour, and finally to conquer, a fear of socializing. 2013, Disney Hyperion, Ages 3–5, $15.99. This rambunctious first day tale is fit for any young buccaneer. Leading an imaginary crew who are drawn in pale pencil, the red-haired protagonist shines his “snappers” (brushes his teeth), breakfasts on grub and grog, and boards the “great, grand jolly boat” (also known as the school bus), journeying to meet his teacher: “Silver was her name, and a fine old salt was she!” The pirates are ever-present companions, sharing in the ups and downs of the day (“We counted and spelled ’till we nearly dropped, brain-addled and weary”). 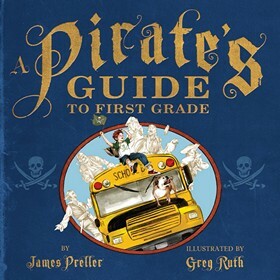 Preller’s buoyant pirate-inflected storytelling and Ruth’s illustrations, which have a decidedly vintage flair, form an exuberant tribute to imagination and a spirit of adventure. 2010, Feiwel and Friends/Macmillan, Ages 3–6, $16.99. First grade seems like an awfully scary place to Posey, and, despite her mother’s assurances, this former kindergartner is not looking forward to her first day. 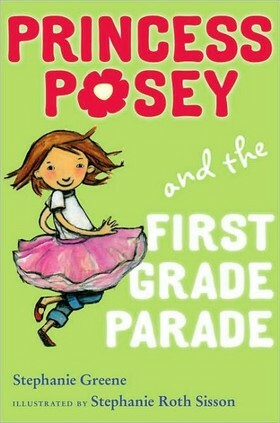 Not only will she have to walk from her mom’s car to her new classroom all by herself, but she won’t be allowed to wear her most favorite outfit, her pink tutu the one that transforms her from everyday scaredy cat Posey to Princess Posey, brave and bold. When she receives an invitation from her new teacher, however, to join in on the First Grade Parade in which she can wear whatever she would like the school year no longer looks so bleak. Greene, a veteran chronicler of the primary- school experience, offers up a quiet, simple tale that accurately reflects the various anxieties surrounding the beginning of a new school year while gently reminding young readers that their expanding world, while initially a bit frightening, can be plenty of fun, too. Brief sentences and repetitive vocabulary make up the mostly episodic chapters, making this an accessible choice for transitional readers, particularly those who are experiencing their own worries about the next step in their lives. Sisson’s plentiful illustrations are a pleasing blend of soft textures and contemporary spirit 2010, Putnam, Grades 1-2, $12.99. REVIEWER: Kate Quealy-Gainer (The Bulletin of the Center for Children’s Books). Not your typical graphic novel, this unique creation combines illustrations, handwritten text, and, well, lots of doodles in a story about Doreen (aka Doodlebug) Busey, a middle-school student whose ADD is calmed by constant doodling. Conflict with a teacher who is dating the father of the boy she has a crush on, strife between her parents as their careers collide, angst about grades and an upcoming school dance, and sisterly concerns about her talented but sometimes conceited sister’s social life combine to show the complexities of Doreen’s life. The plot and subplots will keep middle-school readers interested and guessing what might happen next. At the same time, little side notes that dot each page offer quick, witty sound-bites. These add-ons may be distracting, but they nevertheless enhance the story and offer frequent opportunities to chuckle and snort while reading about Doreen’s middle school challenges. Students and teachers alike will appreciate this fresh take on a novel, which could be touted in both art and literature classes. Most middle-school libraries and public libraries will want to incorporate this impressive effort into their collection. 2013, Feiwel and Friends, Ages 10 to 14, $12.99. Can a third-grade boy and a third-grade girl really be friends? Sidney, the new boy in town, and Sydney, an art-loving girl, make a go of it after an uncertain start: Sydney mistakes Sidney’s classroom name tag for her own and both get embarrassed by the teasing that results from the mix-up. The two then discover, however, that they share more than just a similar-sounding name, including an interest in photography, Paris, and the game Galaxy Conquest. When both of their best friends are bummed about Halloween one is diabetic and the other’s health-conscious mother has forbidden all sweets Sidney and Sydney formulate a plan that will allow their pals (and themselves) to still have fun on Halloween without all the candy. This observant and humorous story is the first book in a series that refreshingly promises to appeal to both boys and girls. Sydney and Sidney alternately narrate (each chapter’s narrator is identified by an illustrative headpiece) and each of their perspectives is credible on both age and gender levels. The text moves quickly and effortlessly, and the kid-centered scenarios will resonate with middle-graders. The frequent full-color illustrations are stylish and attractive, and Sidney and Sydney have a wide-eyed, loose-limbed appeal slightly reminiscent of an older Charlie and Lola from Child’s series. 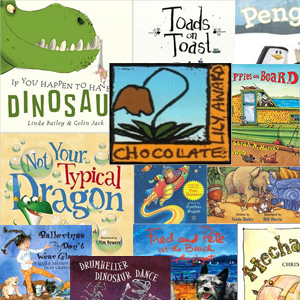 Consider this for a refreshing classroom readaloud, for mixed-gender book groups, or for encouraging more friendships that cross the middle-grade gender divide. 2013, Picture Window, Grades 2-4, $17.99. REVIEWER: Jeannette Hulick (The Bulletin of the Center for Children’s Books). Ben Ripley is astounded when he’s whisked off to the secret CIA-run spy school outside Washington, D.C. 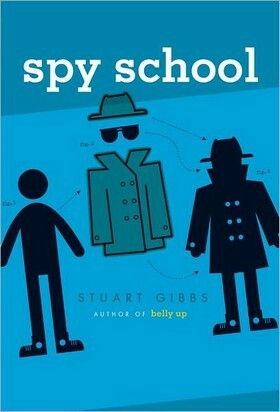 The boarding school for kids from sixth through twelfth grades trains America’s future spies. But there’s a mole in the school, leaking secrets to enemy governments, and Ben discovers he’s been hand-picked to attend not because he’s great spy material, but to set a trap. The CIA has created a false profile indicating Ben is a brilliant cryptologist, making him a target for would-be assassins. Trying to avoid being kidnapped or killed, Ben finds his only ally and in fact the one person who seems able to outsmart both enemy spies and school and CIA officials is uber-student Erika, daughter of the dashing and famous American spy Alexander Hale. Stuart Gibbs’s over-the-top story has elements of Percy Jackson, Harry Potter, and the movie Spy Kids but the result is an original blend full of action, adventure, and abundant humor. 2012, Simon & Schuster, Ages 9-12, $15.99. REVIEWER: CCBC (Cooperative Children’s Book Center Choices). Libby Gardner is in the midst of a heated campaign against rival Cindy Applegate for seventh-grade class president. She learns from her super-cool tenth-grade cousin that middle-school elections require a whole new level of coolness from what succeeded in elementary school. Her only hope for victory seems to lie in finding a new, cooler campaign manager; in the process, Libby will have to ditch the services of her lifelong best friend, Trevor Jones. Meanwhile, Trevor is busy riding his own coolness/uncoolness rolleroaster, as the popularity he gained by drenching bully Corey Long with orange soda at the fall dance is jeopardized by Corey’s schemes for revenge. Although this is billed as a “documentary” that is “directed” by author Robin Mellom and “filmed” by illustrator Stephen Gilpin, the vast majority of the narration reads like a standard middle-grade novel (except for jarring point-of-view shifts from paragraph to paragraph), punctuated by occasional interior monologues of the main characters’ self-reflections. The storyline is deliberately preposterous. For example, a hazmat crew in full protective gear is called in to try to locate the source of an unbearable odor in the school hallways, and there are plenty of other over-the-top slapstick shenanigans. Nonetheless, Mellom succeeds in putting adolescent angst over shifting social standing into perspective, imparting the wise lesson that true coolness involves doing what you want, whether it’s cool or not. Part of The Classroom series. B2013, Hyperion/Disney, Ages 8 to 12, $12.99. REVIEWER: Claudia Mills, Ph.D. (Children’s Literature). Older brothers are known to give younger siblings advice, and James is no different. 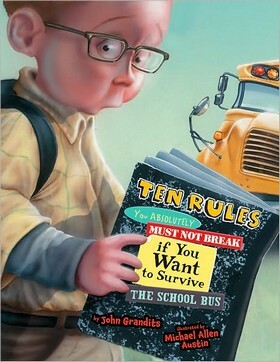 He counsels his little brother in the rules of survival as he rides the school bus alone and for the first time. Our young narrator finds that adhering to the rules is extremely difficult. How can you keep rules 1 and 2 (“Never sit in the first row,” and “never sit in the last row”) when those are the only seats available? In his nervousness, he breaks the other rules, too. Then something strange happens. He discovers that breaking his brother’s rules can be okay. The gray undertones and the off-kilter angles of the illustrations create a shivery complement to the anguish of breaking the rules. Grandits’ lengthy text flows smoothly from one rule to the next and the reader empathizes with the protagonist. The tongue-in-cheek humor pervades the matter-of-fact text and the illustrations with their unusual perspectives and literal interpretation. Our young narrator’s facial expressions engage the reader and tell the story. A sophisticated audience that has experienced riding the bus will truly identify with, and cheer on this little fella. Teachers and school librarians will find this to be an entertaining and engaging way to commence a discussion on bullies and bus behavior. 2011, Clarion Books, Ages 6 to 9, $16.99. 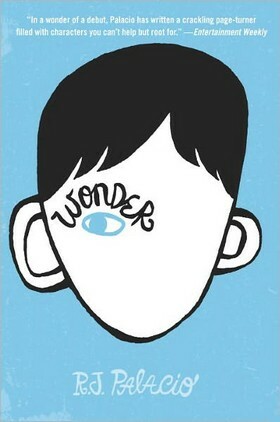 Even though he’d like to think of himself as an ordinary kid, Auggie Pullman knows he isn’t. He has severe facial anomalies; almost anyone seeing him for the first time visibly reacts. Auggie is starting fifth grade at Beecher Prep, a huge change and challenge after being homeschooled all his life. He makes friends with Jack and things seem to be going okay until the day he overhears Jack talking about him. Auggie is crushed by what Jack says. It’s a devastating, unsettling moment followed by a shift in point of view: Readers are suddenly thrust into life from the perspective of Auggie’s teenage sister, Via. Later Jack, struggling to find the courage and the strength to be a good friend, and Summer, a girl comfortable with being Auggie’s friend and waiting for Auggie to fully trust her, become the voices carrying the story. Via’s boyfriend, and her estranged best friend, also become tellers of this tale, which eventually comes full circle back to Auggie. The multiple points of view are tremendously effective, giving remarkable depth and range to Auggie’s story over the course of his fifth-grade year while developing characters whose own stories are intriguing. Auggie emerges as a boy with faults and flaws like anyone, and if there’s a bit of an after-school-special quality to the book’s ending, with Auggie winning over the hearts and minds of so many, it is also an ending pitch-perfect for readers who will benefit from having the values of tolerance and courage and friendship clearly delineated in R. J. Palacio’s surprising and affecting debut novel. 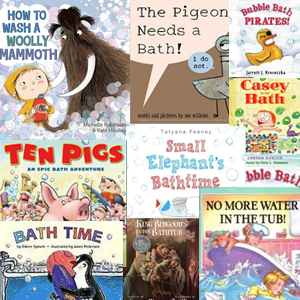 CCBC Category: Fiction for Children. 2012, Alfred A. Knopf, 315 pages, $15.99. Ages 10-13. REVIEWER: CCBC (Cooperative Children’s Book Center Choices, 2013). It’s the Year of the Rabbit, according to Billy Miller’s new second-grade teacher. It’s also the year of several dilemmas for the boy, including the fear he might “start forgetting things” due to bumping his head while on vacation over the summer. Then there’s the habitat diorama that Billy is assigned—the bat cave he creates doesn’t turn out quite like he’d hoped. Henkes’s (Junonia) gentle slice-of-life novel, divided into four sections, humorously examines these and other plights while capturing the essence of Billy’s relationships with four significant figures in his life: his teacher (who he accidentally insults on the first day of school); his stay-at-home, struggling-artist father; his sometimes annoying, sometimes endearing three-year-old sister; and his mother, about whom Billy must compose a poem to be presented at the end of the school year. Each segment introduces a new conflict that Billy manages to resolve without too much fuss or torment. The book’s clear structure, concrete images, and just-challenging-enough vocabulary are smartly attuned to emerging readers, and its warmth, relatable situations, and sympathetic hero give it broad appeal. 2013, Greenwillow, Ages 8–12, $16.99. Penelope is so excited that school is starting tomorrow, and is even more excited to wear her rainbow sparkle outfit in front of her new classmates! But her best friend Tiny is more cautious about the first day, and begins to give Penelope tips on how to blend in with her classmates so that no one will make fun of her. Penelope decides not to take Tiny’s advice, and goes to school in her previously chosen flamboyant clothes, bring her favorite stuffed toy, and pack a picnic lunch. Tiny is incredibly worried about her best friend, but learns that being your own person is the perfect way to be. The story line would be perfect to read to a child getting ready to enter school or a child suffering from shyness in the classroom. The illustrations are colorful and help tell the story. The messages in the story are about accepting people for who they are, learning how to make new friends, and being open to new adventures. The last page is a list of things that a child can do to feel more comfortable on their very first day of school. 2013, Disney Hyperion, Ages 4 to 8, $16.99. REVIEWER: Tima Murrell (Childrens’s Literature).